The Fellowship was fortunate enough to obtain a copy of WORDGIRL: WORD UP from BOOM! Studios. The graphic novel is based on the PBS show WORDGIRL that is designed to expand children’s vocabulary in a fun and exciting manner. Anita Serwacki wrote the first story THE HAM VAN MAKES THE MAN with art by Steve Young. The second story is THINK BIG by Scott Ganz and Andrew Samson with art by Andy Price. In THE HAM VAN MAKES THE MAN, WordGirl’s Father won an essay contest in which the grand prize is to drive the “world-famous Spiral Ham Van” through the city’s portion of a cross-country promotional tour. This does not make the villain The Butcher very happy. In THINK BIG, the villains Two-Brains and Chuck the Evil Sandwich Making Guy kidnap Mr. Big in attempt to figure out how to turn their failures into successes. The answer…THINK BIG!!! I have not watched the PBS program, but if the graphic novel is any indication of what the show is like, it seems like an enjoyable ride. 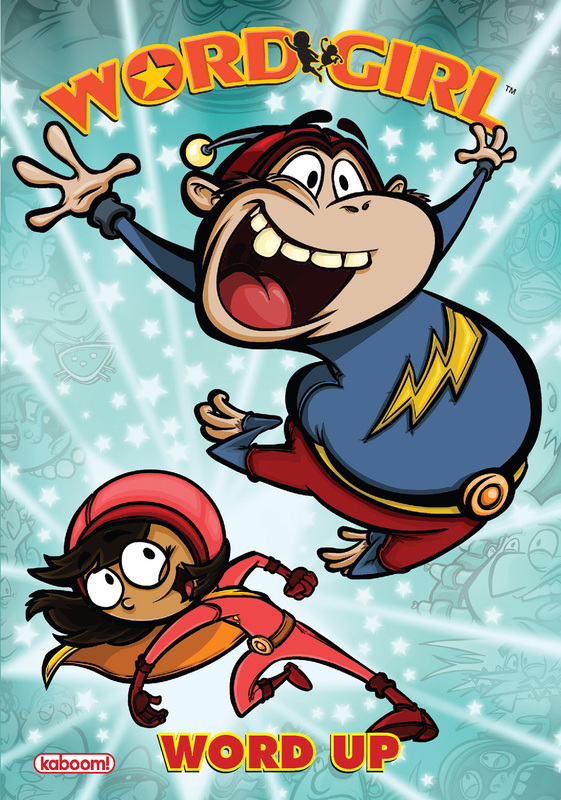 I know the book was meant for a younger demographic, but it was fun reading the adventures of WordGirl and her sidekick Captain Huggy Face (a monkey). The stories are smartly written and very entertaining. The art is nice, clean, and very pleasing to the eye. WORDGIRL: WORD UP is out in stores now or available to order at www.boom-studios.com.